We work nationally and internationally with a range of partner organisations who share our values and are commited to nurturing a generation of can-do children who are creative, innovative, independent, resourceful, and resilient, ready to fulfil their potential and make a difference in the world. Distributor opportunities - we have steadily built our reputation for high quality, unique products for the parenting and education markets focused on helping children develop essential life skills through play. As part of our expansion programme, we are now seeking new distributors in other countries. If you share our values of Enterprise, Engagement, and Enjoyment, and feel what we have to offer could add value to your own business, please get in touch. We are always interested to speak with potential distributors and/or collaborators. If you're interested in working with us, please get in touch via our contact page. Bright Start Foundation/Family Academy - We are delighted to be working with Bright Start Foundation delivering parent and educator workshops in the Middle East. Can-Do Child® is an official partner with the Family Academy working in support of their mission to create bright futures for children and their families, focusing on the crucial first five years. We have run 'Families Can-Do Play' workshops, been a key part of the first Early Childhood Family Festival, and run workshops for Nursery staff. We are currently developing a Can-Do Child® accredited programme for their parent educators. Dots and Links Skills Development Center was the first brain training center in Abu Dhabi, and has helped over 700 individuals since its founding in 2012. Their mission is to enhance a learner's core ability to learn faster, easier, and better. They are devoted to the idea that learners simply do not need to be pigeon-holed by labels or held back by learning or reading difficulties, and believe that everyone has strengths and weaknesses. The Dots&Links Center aims to identify the causes of difficulties and then to strengthen them through unique cognitive training programs: BrainRx and ReadRx. They are striving to empower people by unleashing the potential they have within. The Center is now an official distributor for Can-Do Child®. Easy Early Learning is a collaboration between Ben & Betty and Can-Do Child®. Jenny Briggs, creator of Ben & Betty is a real inspiration in the world of Early Years learning, having run her own successful Nursery and Infant School for children of all abilities for over twenty years. Ofsted loved her Learning Through Play ethos and the results achieved, where no child left at the age of seven with a reading age below their chronological age. It seemed a natural opportunity for us to work with Ben & Betty, recognising the value each brings to the other to enhance both the adult and child's learning experience and progress. Our collaborative resources are available on the Easy Early Learning web site along with free downloadable resources - guaranteed fun and engaging, giving children the very best start on their learning journey. Fiver Challenge is run by Young Enterprise. It is a free, fun and engaging initiative providing young school children aged 5-11 years, across the UK with a pledge of £5 for every participant taking part. The participants are then challenged to set up mini businesses to create products or services they can then sell/deliver at a profit and engage with their local community. Our CEO Lorraine Allman has been an external judge for the competition since it started in 2014 and since 2015 has chaired the judging panel and spoken at the annual awards ceremony in London. Women at Work Foundation is a non-profit organisation which is ordinary women's response to the need for social empowerment of young people in Johannesburgh, South Africa. The Foundation was born out of the realization of school-going children succumbing to peer pressure and other social pathologies such as drug use and risky behaviours. We have been working with the Foundation for two years, developing and expanding an Enterprising and Life Skills programme for Grade 7 Learners from the Alexandra area. The Lorna Young Foundation works with disadvantaged communities; raising awareness of ethical trading and encouraging the use of self-help social enterprise so that young people and adults can learn practical life skills, reduce poverty both 'at home and abroad' and can share profits fairly and for the best use for the community. Enterprising Child worked with the Foundation to enhance their toolkit of workshop activities to foster an enterprising spirit. Director of the Lorna Young Foundation Christina Longden says of working with Enterprising Child: "...[Lorraine] has produced a fantastic guide that appeals to everyone from parents and teachers to youth and community workers or leaders who simply want to foster an enterprising spirit. It is so heartening to see a book that also tries to address the issue of 'enterprise giving back to the world's poor', and the explanations, exercises and case studies are far better than anything else that we have found to date. Brilliant book and a brilliant website!" 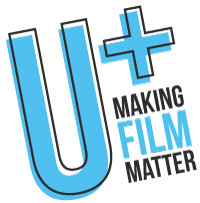 U+Entertainment is a Los Angeles based non profit organisation that helps young people experience work in the film and television industry. They help young members get real life experience to boost their CV's and run amazing projects in both in Los Angeles and in the UK. We have worked with U+ for the last 3 years both directly in their U+Pitch We Produce competition for young creatives (a kind of dragons' den with a twist!) and through ongoing guidance and support.